The role of community media Even though many media outlets have made provisions for audience participation and have therein become more accessible to the people they serve, nowhere is accessibility and specificity of purpose so well defined as with community media. 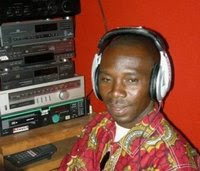 Currently radio is the most widespread form of community media in the developing world because it is cheap to produce and to access, can cover large areas, and overcomes illiteracy. Community Media, Media with a mission Community radio defines itself more by its mission than its size or location. It usually evokes a grassroots attitude and a bias toward the free flow of opinions and ideas. It seeks to educate and entertain, to inform and amuse, and to create a big tent under which its listeners can engage and challenge each other as well as their political leadership. These operations tend to be smaller, community based and managed, with a reliance on local support that may include advertising but more often is reflected in donations and volunteerism. Community media will often fill the void left by larger corporate media entities that operate under different imperatives that may not include the underrepresented or marginalized populations in a society. While not always the case, women and young people will find a home for their issues and encouragement of their participation within the community media framework. The inclusion of women remains a challenging development issue because they are habitually excluded from the decision-making processes within their own societies, whilst being the first point of contact on many health and educational issues. Similarly, more attention should be given to the inclusion of youth within the media and to developing their media literacy skills. Over the long-term, local media can create a coherent narrative of a region’s development and help people formulate goals and plans for how to improve their situation. The media can help contextualize national development programs within community frameworks and bring these goals closer to their intended beneficiaries. Effective local media can also help people understand the history and evolution of oppression or discrimination and give them the necessary perspective to make rational choices to emerge from it. With this information, people have the means to participate in democratic processes and shape their own futures locally and nationally. Making every citizen a “reporter” Professional journalists are the core of a reputable media environment. However, they are by no means the only ones actively chronicling the world around them. New technology is giving an unprecedented opportunity to citizens to inform others. . In crises, citizens reporting like journalists may be the only way for human rights abuses and other violations of a criminal or environmental nature to be brought to face broad public scrutiny. Citizen reporting may also be a way to work against censorship, following protests or political turmoil. If information becomes decentralized, censorship becomes less effective because it is no longer containable within the media outlets. The practicalities of participation New technologies are not only changing the media dynamic when it comes to content, but are also a significant factor in creating new ways for media to interact with its audience. Blogs, mobile phones and various other online devices are bringing the producers of content in closer contact with the consumers of it. Feedback can be instantaneous. For the first time in the history of the media industry, especially in the most well developed media markets, there is as much information coming in from consumers as is going out to them through traditional and new means of communication. Managing these ebbs and flows of information is becoming increasingly critical to the future of the media business.